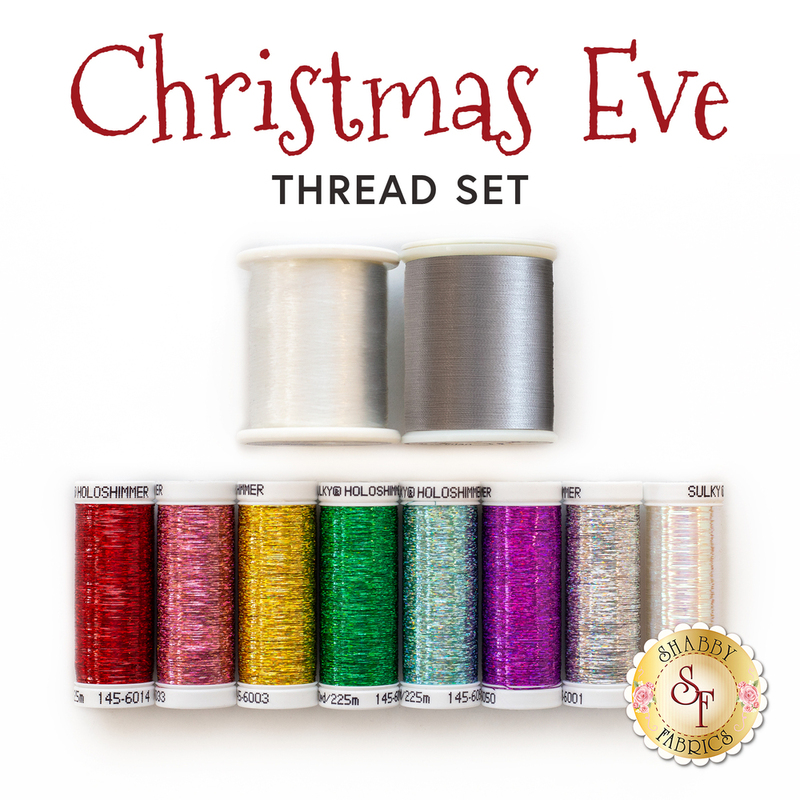 This 10 piece thread set has been hand selected specifically for the Christmas Eve Series; designed by and exclusively available at Shabby Fabrics! These threads are stunning and add that extra special sparkle to any project! Topstitch Superior Titanium-Coated Needle - Size 90/14 is recommended for use with the Glitter Thread.